Carroll Gene Patrick age 81, of Mt. 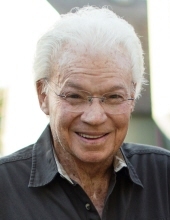 Vernon, Missouri, passed away at 2:40 a.m. on Saturday, January 19, 2019, at Cox South Hospital in Springfield, Missouri. He was born May 7, 1937, in Mt. Vernon, the son of Edward and Nellie (Sutton) Patrick. Carroll was a 1955 graduate of Mt. Vernon High School. He worked for Armour Meats in South Dakota for 15 years before moving back to Mt. Vernon where he had a construction company with his brother. He also worked for Hubs Propane and Oil in Mt. Vernon. He was a member of the First Christian Church in Mt. Vernon and was a Mason and Shriner. On December 31, 1987, he married Cleta Floyd, in Miller, Missouri. Carroll is survived by his wife of 31 years, Cleta; one daughter, Jude Patrick of Aurora, Missouri; two sons, Chad Neely and his wife, Audri, and Mike Neely all of La Russell, Missouri; three grandchildren, Nicholaus Mayab and his wife, Bailey, of La Russell, Kelsey Hill and her husband, Isaac, of Mt. Vernon and Kyley Neely of La Russell; one granddaughter on the way; one great-granddaughter, Pennie Mayab and several nieces and nephews. His parents, Edward and Nellie, one sister, and four brothers, preceded him in death. A visitation will be held from 1:00-2:00 p. m. on Thursday, January 24, 2019 at the First Christian Church in Mt. Vernon. Followed with a memorial service at 2:00 p.m. Private family burial will be at a later date at the Mt. Vernon City Cemetery. Arrangements are under the direction of the Fossett-Mosher Funeral Home, in Mt. Vernon. To plant a tree in memory of Carroll Gene Patrick, please visit our Tribute Store. First Christian Church, (Disciples of Christ), Mt. Vernon, MO. "Email Address" would like to share the life celebration of Carroll Gene Patrick. Click on the "link" to go to share a favorite memory or leave a condolence message for the family.